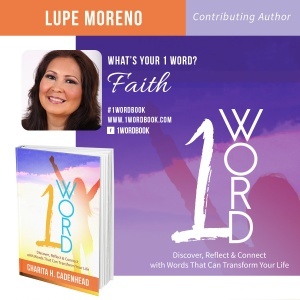 CLICK HERE TO ORDER YOUR AUTOGRAPHED COPY: 1 Word: Discover, Reflect & Connect With Words That Will Transform Your Life. All orders from this page will be personally autographed by me, Lupe Moreno. 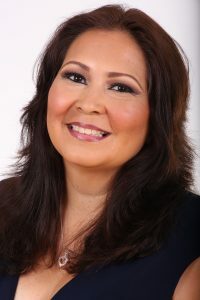 ABOUT THE AUTHOR: Lupe Moreno is the founder of Building Resilience and Strength. She is a certified life coach, resilience instructor, speaker, and domestic violence advocate. She is the author of “Unmasking the Silent Killer: The Many Faces of Domestic Violence” and is currently working on a memoir. After more than 20 years as a domestic violence victim, Lupe Moreno found herself struggling as a single mother with three children. Like other survivors of domestic violence, Lupe lacked self-esteem, confidence and self-worth. However, it was her faith in God that gave her strength to go on. Her faith also gave her hope in finding true love. Lupe is now happily married to her soulmate and has the life she once only dreamed of living. Because of her faith, Lupe’s life is now barely recognizable from the young girl who once lived daily in fear. You can contact Lupe at www.resilienceandstrength.com or resilienceandstrength@aol.com.